Just back from Northern Kenya for reports. Because of failing rains, dams have dried. Some people spend days travelling to waterpoints. On the way, I met this young herds man, looking for greener pastures. 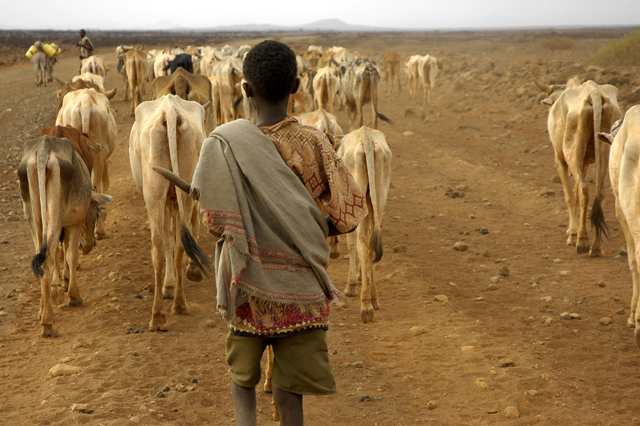 He has been travelling with his cattle for days with his herd.